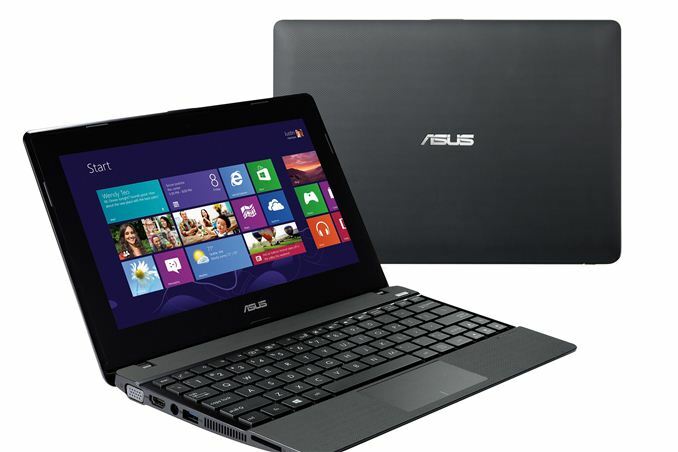 As we wrap up with ASUS’ IFA announcements for today, we shift from the tablet and smartphone sectors over to laptops. Launched back in May, Kabini is AMD’s alternative to Intel’s Atom; Temash is the lower power variant, with basically the same hardware but reduced clock speeds. Since May, we haven’t heard too much about Temash; there are a few laptops out using the SoC/APU, like the HP TouchSmart 11, Acer V5-122P, and Samsung ATIV Book 9 Lite. The HP and Acer use the 8W A4-1250 while the Samsung uses the 8W A6-1450 (and packs a 128GB SSD). ASUS is adding another Temash laptop to the mix with their upcoming X102BA ultraportable, a 10.1” touchscreen AMD netbook. What's more, they'll be the first (that I've heard about) to use the 3.9W A4-1200. This is definitely going to be a device for the budget minded, and while ASUS hasn’t released pricing information yet I suspect (hope) we’re looking at starting prices around $300, though the inclusion of Windows 8 and Office 2013 may push prices closer to $400+. In terms of the hardware, the X102BA comes with an A4-1200 APU, a dual-core Jaguar chip running at 1GHz with Radeon HD 8180 graphics. Neither one of those are going to set the performance world on fire, but the targeted power of the A4-1200 is 3.9W so battery life should be decent. ASUS rates the 33Wh battery at up to 5 hours of battery life with 720p HD video playback, and presumably it would do better under lighter loads like surfing the Internet or just typing. The X102BA comes with either 2GB or 4GB DDR3 memory, 320GB/500GB HDD, 802.11n WiFi (2.4GHz most likely), Bluetooth 4.0, a single USB 3.0 port, and VGA and HDMI video ports. The display is a 1366x768 panel, most likely TN, with 10-point input and a 5mm contact point for enhanced precision. Also included is an SD card slot and a 720p webcam. ASUS provides a full copy of Microsoft Office Home and Student 2013 (Word, Excel, PowerPoint, OneNote), making this potentially a handy and inexpensive companion for students. The ASUS X102BA will be available later this year in several colors: white, black, hot pink, and ocean blue. Dimensions for the X102BA are similar to the old 10” netbooks of yesteryear: 266mm x 185mm x 23.3~29mm with a weight of 1.1kg (2.42 lbs).